is ultimately the best source of information when you consider cosmetic surgery. After all, the doctor-patient relationship is unique, nowhere more so than in cosmetic surgery. Both the surgeon and the patient are limited in the extend to which they can go to make a dream come true. 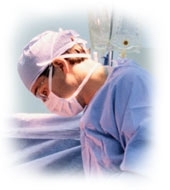 The information on this web site is written by a very experienced, all round cospetic surgeon, but cannot replace the information you will get during your individual consultation. It is written from my mertsonal point of view and my experience colours it. I will try to give you some hints and insights you may not find easily from other sources. It remains a fact of live that a lot of information in the media, including internet are not only commercially driven, but also frequently written by non-medical communicators. In this process, a lot of information becomes skewed or planely unreliable. I hope to guide the reader with this web site through the doubts she may be left with when reading the conflicting statements about the common and less common treatment options. Please make an appointment via de HOFFkliniek office by telephone, e-mail or contactform. Video-conferencing via secure server set-up is possible for for new prospective long distance patients as well as for patients with an established file in the HOFFkliniek. For details contact evelyne@hoeyberghs.com. Copyright © 2010 Jeff Hoeyberghs. All rights reserved.